What is sustainable adventure tourism? Sustainable adventure tourism can be defined as ‘tourism that takes full account of its current and future economic, social and environmental impacts, whilst addressing the needs of visitors, the industry, the environment and host communities’. We want people to come and enjoy the wonderful natural and cultural offerings of Pembrokeshire with minimal damage to the environment, local heritage and way of life. So to demonstrate how Preseli Venture acts with sustainability at the heart of its business operations, we start by explaining what is meant by “sustainable”. Through re-cycling, waste reduction, energy efficiency, use of renewable energy or other means. Giving priority to ensuring that its activities have minimal adverse impact on the environment, natural heritage and biodiversity. By strengthening the local economy, eg. by creating local jobs, keeping money in the community, using local produce, suppliers and services. To ensure the long-term commitment to social and environmental well-being in the areas of business operation. Ensuring that the pressures caused by the increased number of visitor vehicles does not cause negative local impact. Delivering meaningful experiences, whilst raising their awareness about sustainability and promoting sustainable practices. Not just maintaining but continuously improving sustainability in all aspects of their business operations. Preseli Venture has developed a model of sustainable adventure tourism over the past 28 years that is the ideal model to operate in a protected National Park area where many coastal locations are designated as special areas for wildlife and conservation of sensitive habitats. Also by the very nature of the geography of the coastline, away from the main towns, Pembrokeshire is blessed with tiny coves and harbour communities, perfect for the adventures, but which offer little space for parking vehicles. Here we explain how we operate sustainably in our business operations of the ecolodge accommodation and the adventure activities, and by our culture of promoting public transport and community resilience. The Visitwales graded 5 star Preseli Venture eco lodge is extremely low carbon; we utilise renewable energy in the form of a ground source heat pump boosted with solar hot water panels to generate all our heating and hot water, photovoltaic panels to generate electricity, the lodge runs on green electricity from ‘ecotricty’, is highly insulated being built out of polystyrene formwork. All the bedrooms and most of the rest of the lodge lighting is provided by ultra low-energy LED lights. We recycle almost everything including glass and cans from the bar, all recyclable waste including paper and cardboard and office materials, and reduce food waste and other consumable waste by sensible controls of quantities cooked and stock controls. Any food waste is collected by the council and not sent to land fill. We compost everything possible and use this to grow our herbs for the kitchen and feed our flowering borders!. Since we are in the countryside and off mains sewerage, considerable investment has been made in a modern bio-disc sewerage system preventing pollution in the local valley and stream. We demonstrate the use of environmentally friendly hand wash and shower gel in our lodge bathrooms, as well as recycled toilet paper, and guests are asked to dispose of their waste in the relevant recycling bins available. At the ecolodge investment has been made in the form of an on site car park that is for the free and convenient parking of our clients and staff cars and vehicles. As Preseli Venture has set itself up as an adventure centre, investment has also been made in a purpose built equipment storage and changing building adjacent to the ecolodge accommodation. This building houses all our equipment from wet-suits and flotation jackets through to the fleets of kayaks, and surf boards. All our kit is washed using rainwater harvested from the roof of the equipment stores. Our clients also use this building as changing rooms to get kitted up in the warm and dry before heading off to the chosen coastal venue for their adventures! 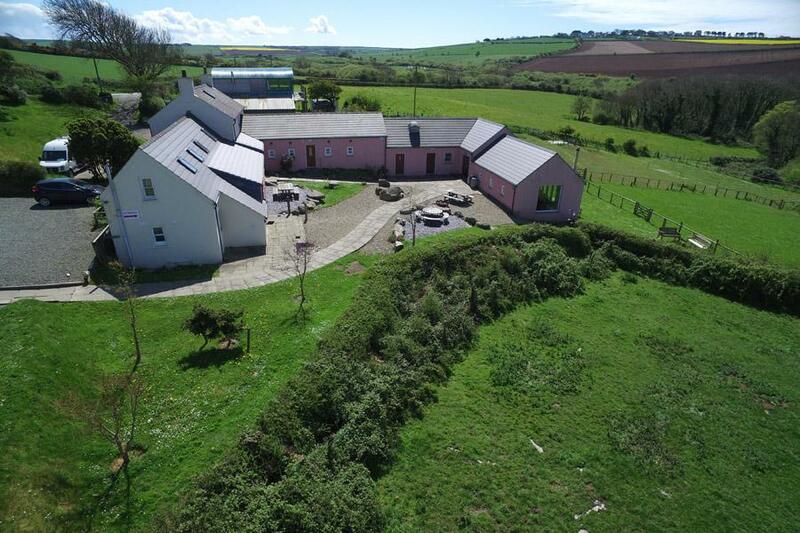 Preseli Venture are an accredited “Green Key” eco lodge. A global eco-label, Green Key is managed in Wales by the environmental charity Keep Wales Tidy, and recognised worldwide in over 47 countries. Green Key aims to educate and encourage the tourism industry from providers to visitors to change unsustainable behaviours, to engage a greater awareness of the environment when making choices, and importantly to become more involved in the protection of their environment. 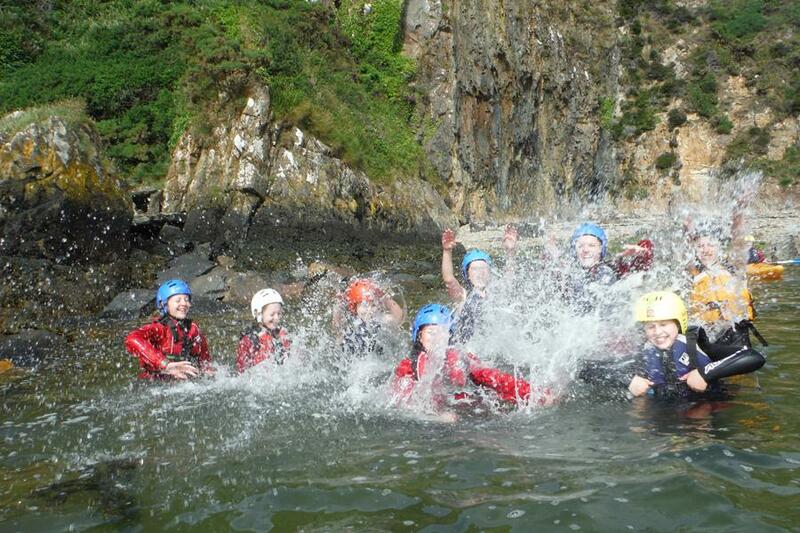 Preseli Venture offers environmentally friendly and sustainable outdoor activities; coasteering, sea kayaking, surfing and coastal walking. The outdoor activities are carried out according to the sustainability and best practise guidelines as set out by the Pembrokeshire Outdoor Charter Group and come under the scrutiny of seal, bird and rocky shore experts from within Pembrokeshire. As part of our partnership with the National Trust we declare our activity usage that takes place on their coastal properties and also help with their nature conservation work by reporting interesting wildlife sightings. We also provide a free of charge adventure for their visiting volunteer groups who are working at nearby NT sites. 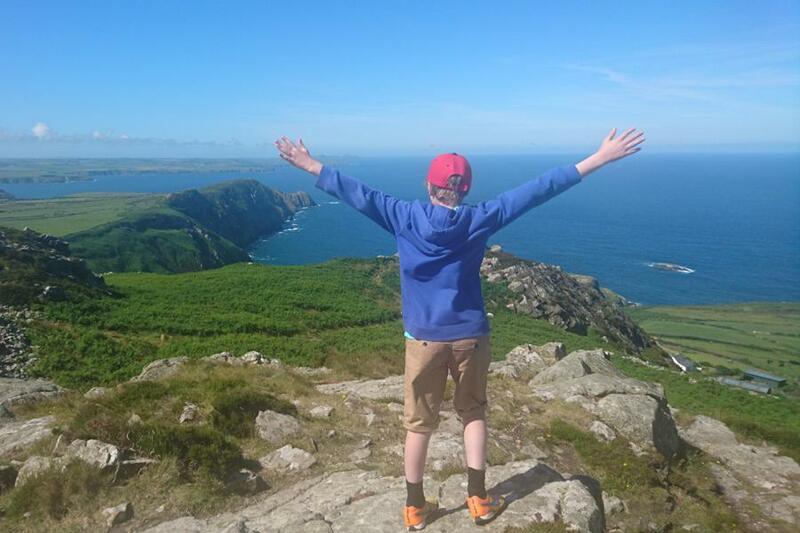 Preseli Venture conducts the adventure activities so as to cause as little disturbance to wildlife and the natural environment as possible and to be sensitive to the needs of the local coastal communities in which we operate. Preseli Venture owns and runs two minibuses that we use to transport our guests from the lodge to the nearby coastal locations where we run the adventure activities, typically between 2 and 8 miles away. This means our guests can arrive here at the centre in their cars and park in our off-road car park which does not cause disturbance to our local community. People are also welcome to arrive here by local or coastal bus, by bike or by walking, and we provide minibus transport to the chosen coastal venue on the day. Our use of minibuses is crucial to our sustainability model as this means we have only ONE vehicle transporting the guides, clients and activity equipment, to take up just one of the scarce parking spaces in the tiny harbours and coves that we use for the activities. Using the minibuses also harmonises well with the needs of the community, minimising disturbance and disruption of coves and village harbours and allowing the small parking areas to be shared with other users such as local fisherman, holidaymakers and coast path walkers. We encourage our guests to travel to Wales by train and we provide a free transfer in our minibuses from the local train station of ‘Fishguard and Goodwick’ to the eco lodge at the start and finish of weekend and mid-week holidays. If you arrive at a time when we are not able to offer the free shuttle, then there are taxis and buses for the 5 mile joruney from the train station. For people already in the area we are just off the Strumble Shuttle coastal bus route as well as the regular coastal buses between Fishguard and St David’s, and so people are most welcome to arrive here by bus, and just need to walk a half-mile from the main A487 coastal road. As our local beach of Abermawr and therefore the Pembrokeshire coast path is just one mile from the ecolodge, coast path walkers can easily reach Preseli Venture on foot. Also since we are just off the Celtic Trail cycle route 4, those on a cycling tour of the area can arrive by bike! We are a Visitwales accredited ‘walkers and cyclist friendly accommodation’. We have developed a ‘self-guided eco walking holiday’ which utilizes the coastal and local buses to transport people to and from their daily start and finish points along the coast, whilst they stay here at the ecolodge for the duration of their holiday. There is no need for cars to drive around each day moving their luggage from place to place! Preseli Venture creates and retains local jobs for people living locally, and we are proud of the full time and part-time year round jobs and 6-month posts we offer to the community. We help to support local businesses, suppliers and tradespeople. The ecolodge provides meals and a bar with locally sourced ciders, ales and other Welsh drinks for our guests, and we source food and other consumables and services for the lodge locally whenever possible. The services of local craftsmen, engineers and tradespeople have been used in building the ecolodge and continue to be used for maintenance and ongoing developments and improvements. We help to keep our 2 local beaches of Abermawr and Aberbach clean and cared for as a part of the Marine Conservation Society ‘Adopt a Beach Scheme’ and we have a good working relationship with the local community group of ‘Transition Bro Gwaun‘ that sets up and supports environmental schemes in and around Fishguard. As a larger centre we can help train up the younger instructors who need ‘on the job’ work experience. Newly qualified instructors gain experience working along side the senior instructors who pass on best practise to keep our industry up to date and professional with new techniques and safety procedures. 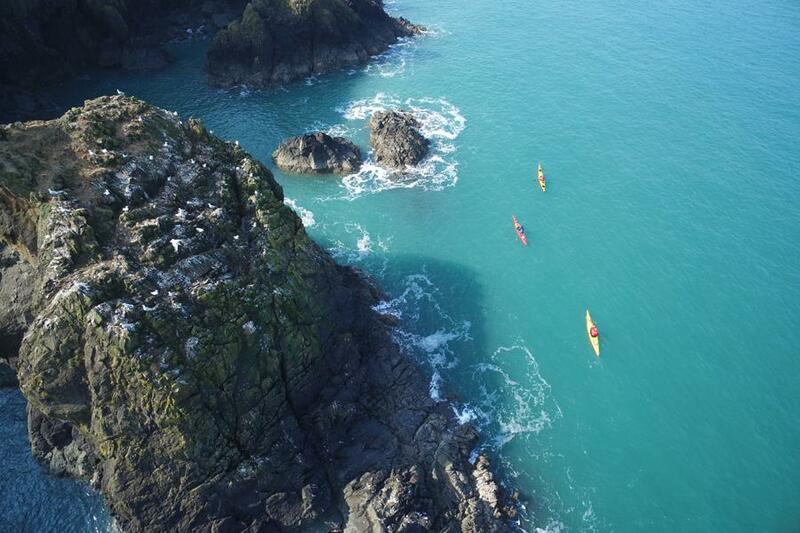 Preseli Venture are AALS accredited, approved by British Canoeing and are a recognised sea kayak instructor training and assessment centre with British Canoeing. We play a vital role in the sustainability of the adventure sector in Wales. Please do check out the sustainability page on our website for further info on how we role.